Send out a graduation announcement that leaves a more beautiful impression than those traditional ones they always charge too much for! 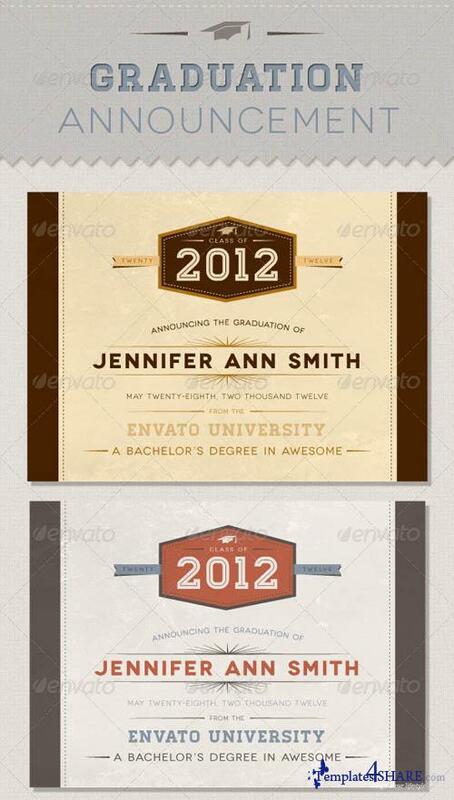 This template is easily editable for any kind of graduation (high school, college, grad school, etc.) and includes all five color schemes shown above as ai, eps, and psd files for CS3 or higher. All files are print ready at 300dpi CMYK with a final print size of 7"x5" and include 1/8" bleeds on all sides.